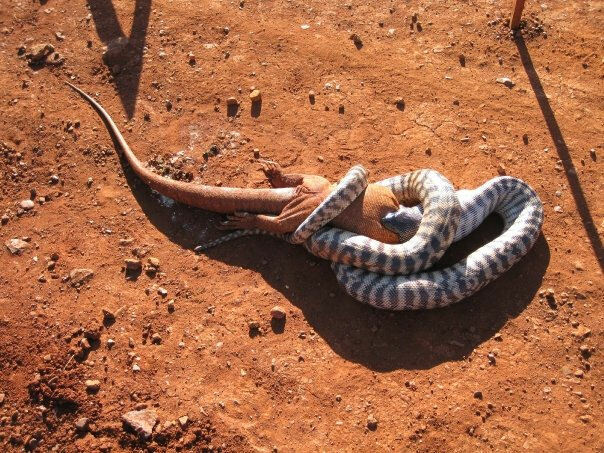 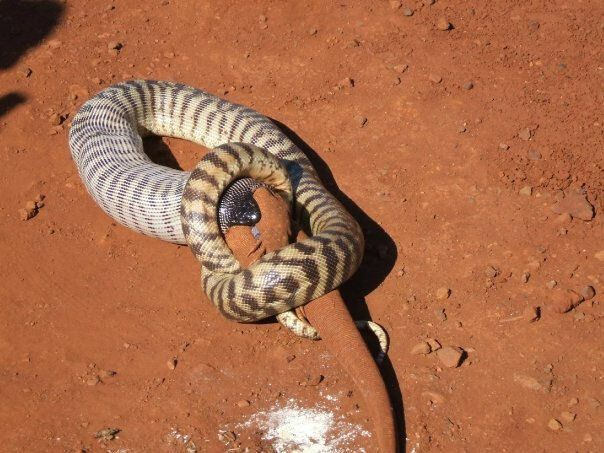 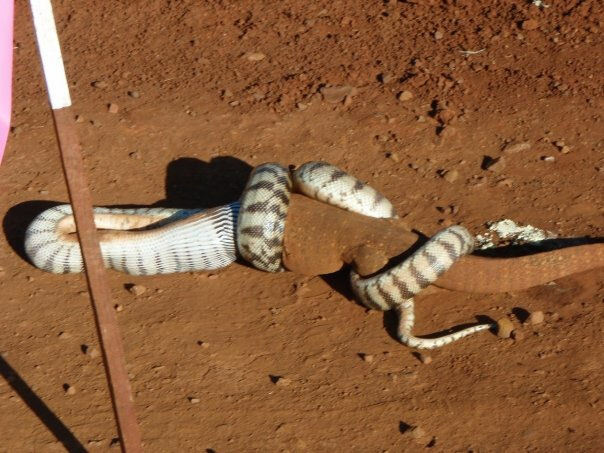 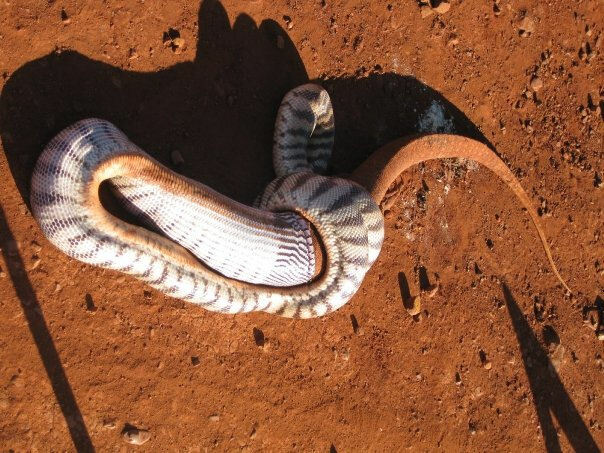 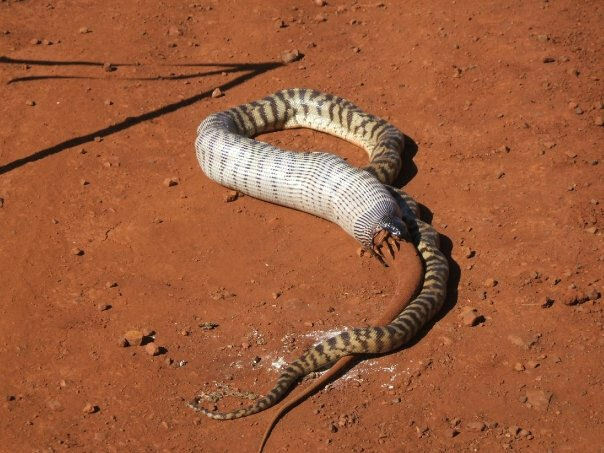 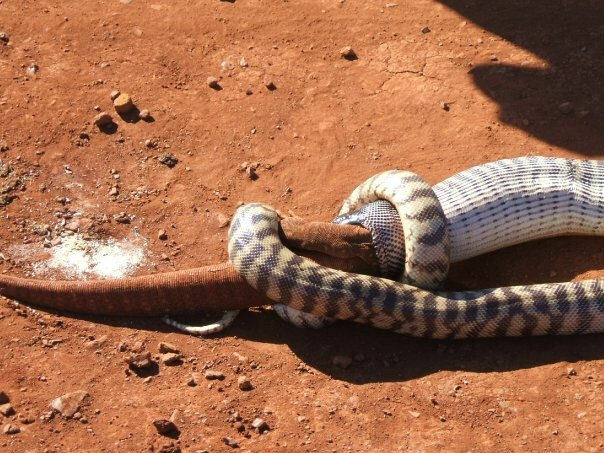 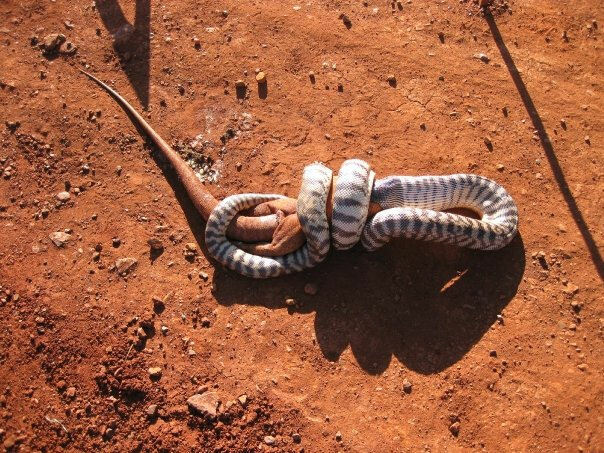 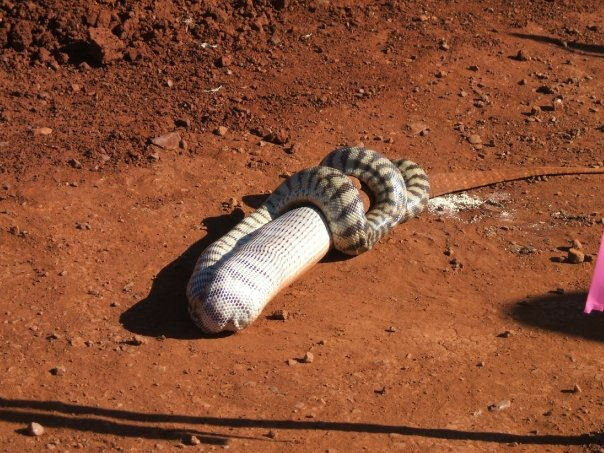 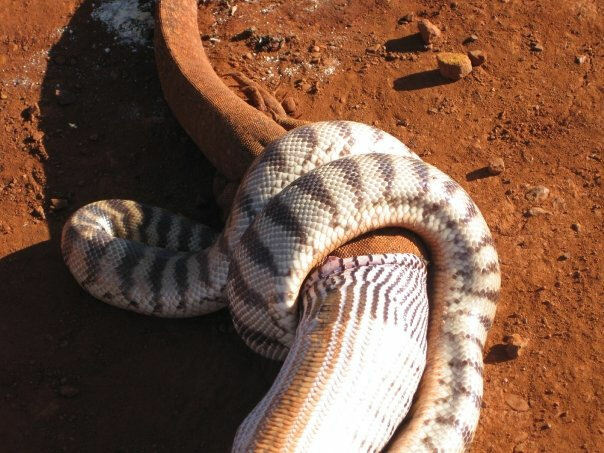 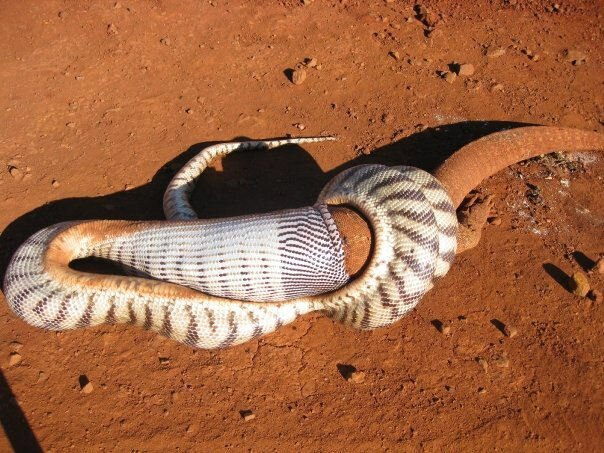 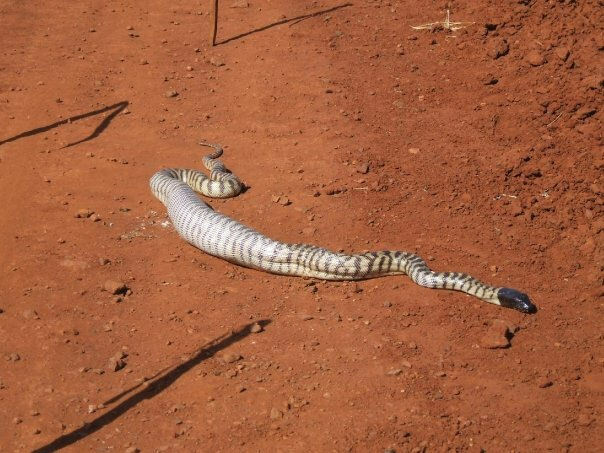 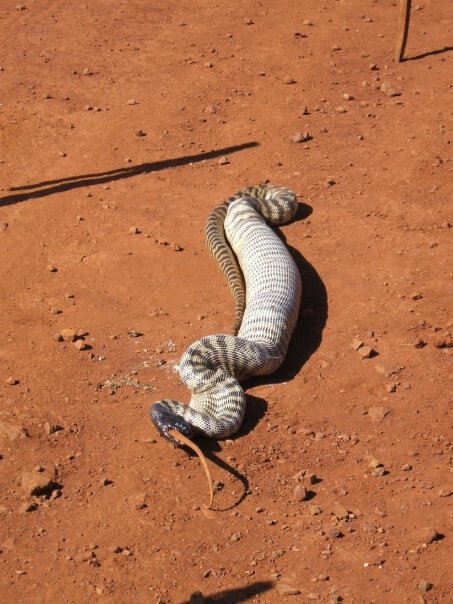 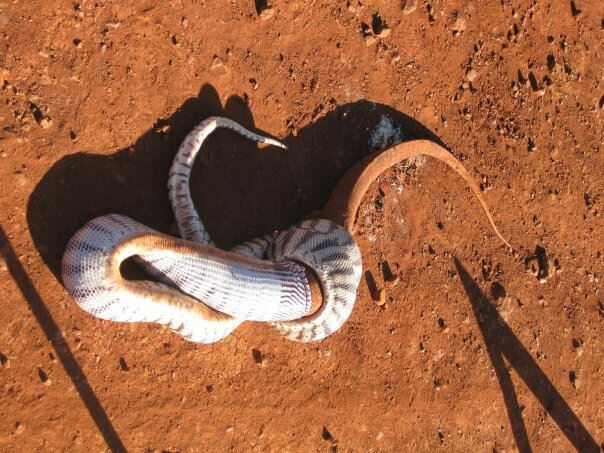 A few weeks ago, the state newspaper had some pictures of a snake eating a large goanna (lizard). 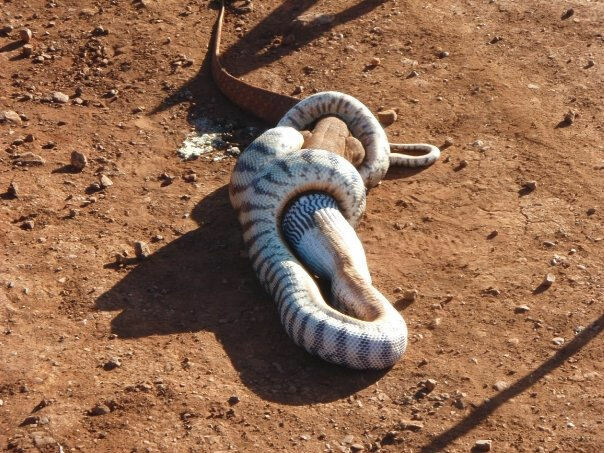 Well, I’ve since had a whole heap of pictures of this event emailed to me! 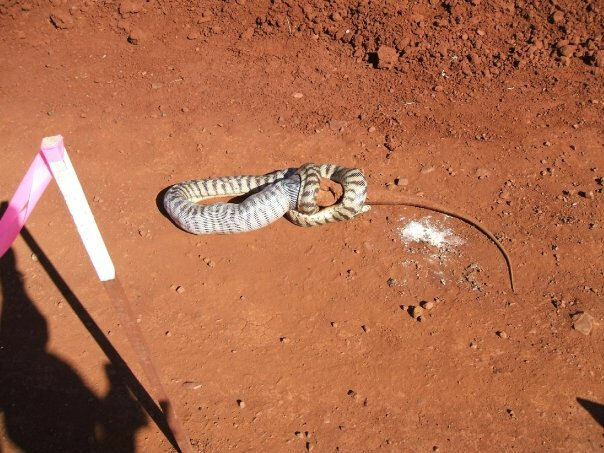 It seems the pictures were taken in the Pilbara region of Western Australia by one of the crew at Cloudbreak (a mine). 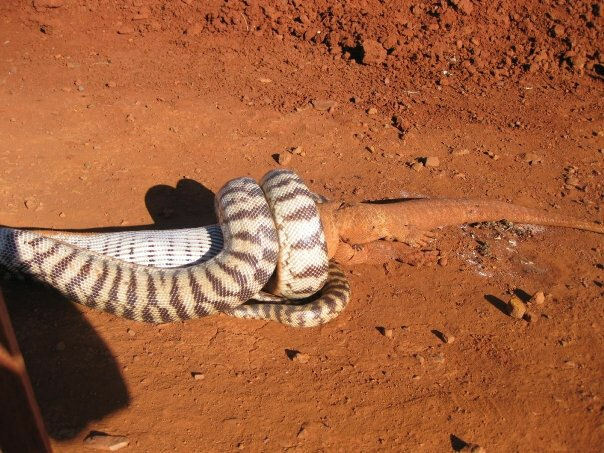 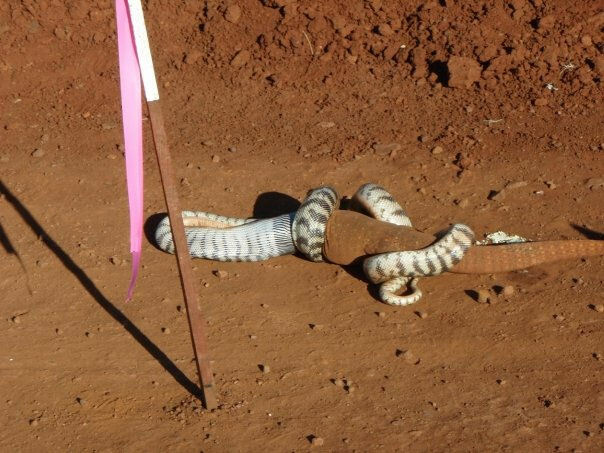 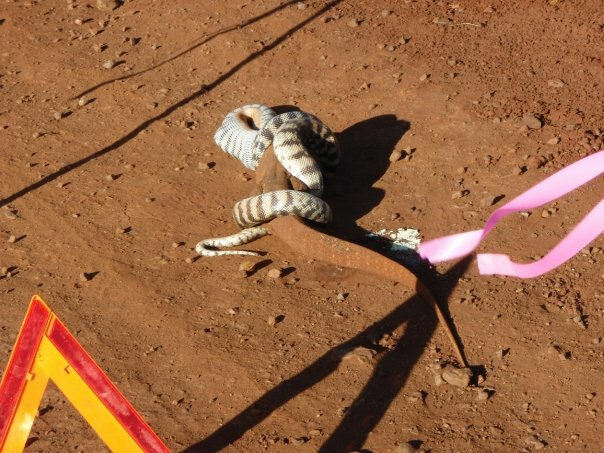 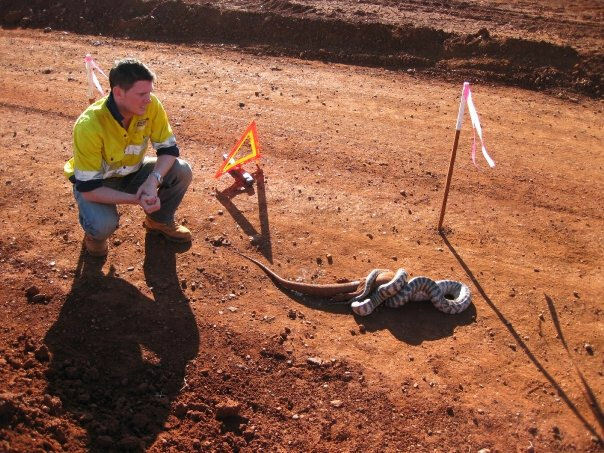 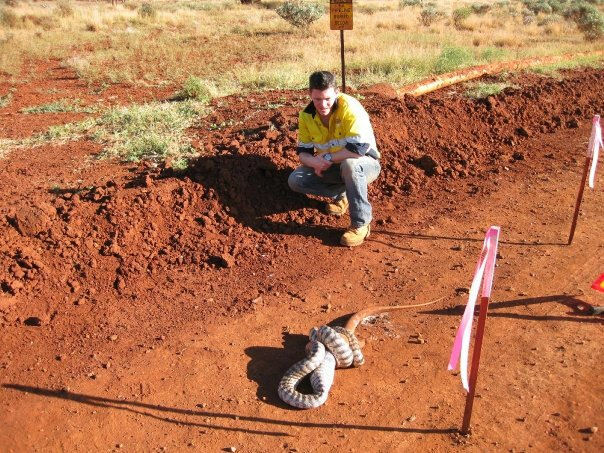 The information I got with the pictures was that it took 5 hours for the snake to finish off the goanna. 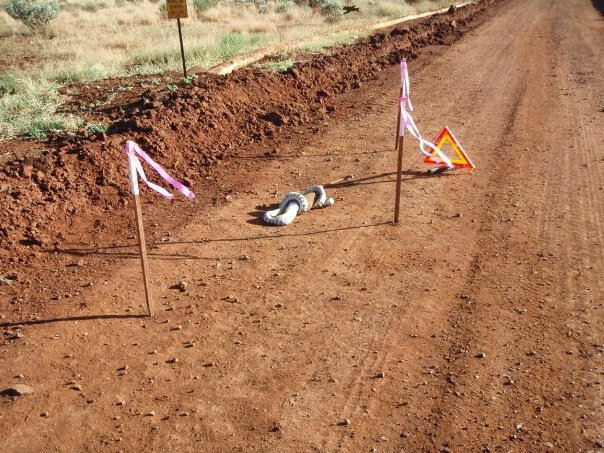 And to avoid the snake being run over during its meal, they put some signage and tape up! 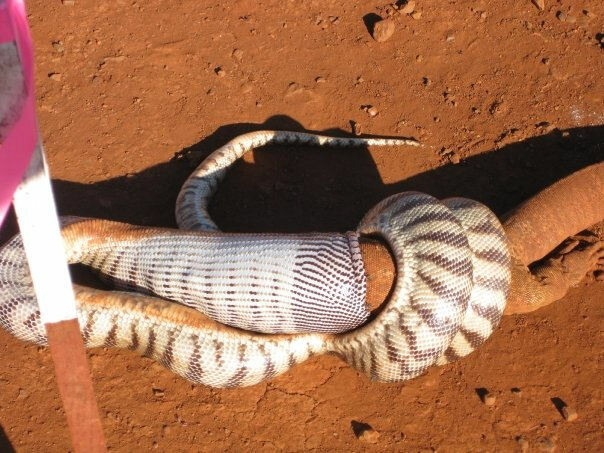 I wonder if the snake got half-way through and thought ‘Oh no, my eyes were bigger than my belly’?